The tourism industry generates billions in annual revenue for Brisbane, Australia. Local residents, as well as visitors from around the country may want to consider this popular destination for personal and professional events alike. Whether you’re planning a business function or a family gathering, you have many reasons to consider renting a private function room in the area to accommodate your group. 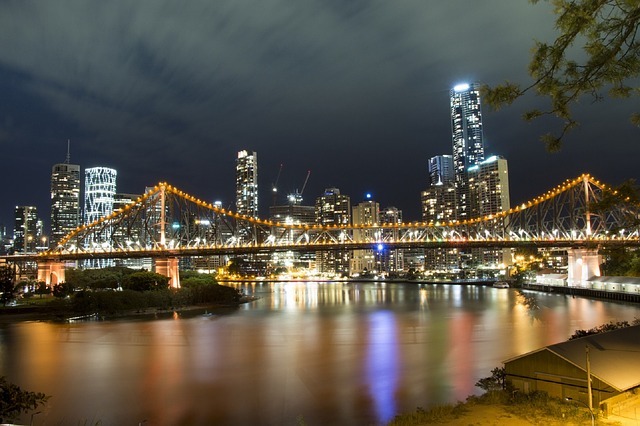 There are many different types of private functions, and renting riverfront private function rooms in Brisbane is one way of being certain you have the best space possible for your event. Each room has distinct features that make it ideal for specific types of functions and needs. Perhaps you’d prefer an intimate space with access to a wine cellar. Maybe you envision your guests mingling in a bright and airy courtyard, enjoying dinner with live music. Whatever your desired aesthetics and amenities, a private function room can accommodate your needs. When it comes to private room rentals, one size does not fit all. Private function rooms are designed for as few as eight people or as many as 220. This means that you don’t need to worry about renting a space that’s so big that your small group feels lost in it, and if you’re having a larger function you can be sure you’ll have enough room for everyone. Those planning a wedding reception or anniversary celebration may want access to water for scenic photographs, and established facilities can offer guests beautiful views of the river. Rooms can also be rented that are close to desirable dining facilities for your convenience. Renting private function rooms carries the benefit of access to qualified professionals who are trained to look after all of your event needs. Whether you’d like to be able to offer your guests access to a bar or host a private cocktail party, experienced servers will be provided to serve your guests. Another benefit is that sites that have private function rooms are equipped with parking for their guests, so you don’t need to worry about whether or not the people you invite will be able to find a space to park. Those who wish to avoid traffic can also find a venue with access to the CityCat water transportation system. Renting a private function room can also ensure that you have access to all the amenities you need. How much toilet paper will 50 people use in seven hours? You don’t need to worry about trying to calculate that or renting portable toilets to accommodate your guests’ needs. Arrangements can be made to include access to dining facilities so that all you need to worry about is getting your guests to your location; once there, their needs will be met on site. When you’re planning a special event, you might feel a lot of stress as you work out the details. Which relatives can you seat together? What if the DJ’s equipment blows the electrical circuits? Renting a private function room is a way of eliminating most of your worries, because the facilities are designed to accommodate your specific needs. Instead of rushing to the store at the last minute to buy something you forgot or leaving your party to stock up on supplies when you run out, you can spend your time mingling with guests and enjoying the experience, confident that all of those in attendance are being looked after. They’ve done all this many, many times before. The professionals who work at facilities with private function rooms are also equipped to look after special dietary needs and concerns. You can sit down with a planner in advance, and they will ensure that you don’t forget any important details that should be considered during the planning process. It’s also important to remember that residential areas have noise bylaws and regulations about what is and is not allowed during certain hours of the day. Perhaps you’d like to have a family party, but you know that the gathering will last long after neighbors will expect things to wind down. Hosting your event at a licensed commercial facility ensures that you don’t need to worry about noise complaints or fines. One final perk is that when the party’s over, you can say goodbye to your guests and head home, leaving staff members to clean the facilities.